The cycle chic craze has swept the world, with people waking up to the idea that you can wear whatever you like to ride a bike from London all the way to Lima. This week London plays host to founder and editor of the original cycle chic, Mr Mikael Colville-Andersen. 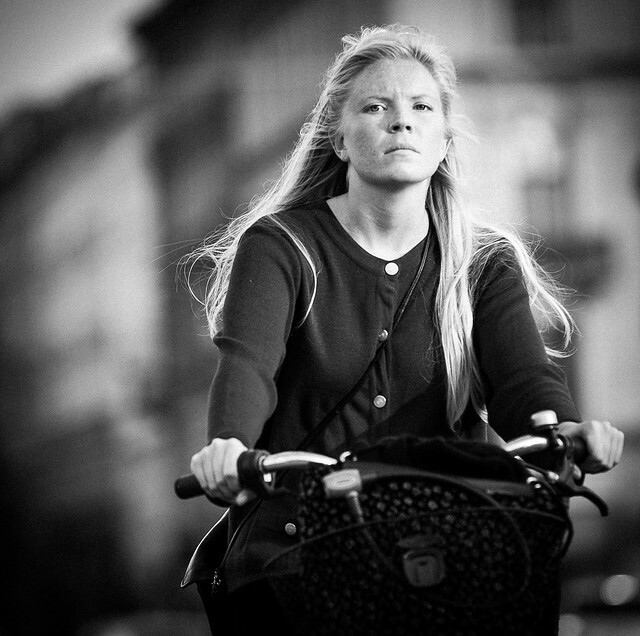 Andersen edits both the Copenhagen Cycle Chic photography and Copenhagenize advocacy blogs and will tonight be speaking at a sold out event at Chelsea Town Hall. Hosted by those fantastic folk at BIKEMINDED RKBC, the event is sure to be a hit with London's cycling advocates. Kensington and Chelsea hosted their own everyday and ordinary photo exhibition of the borough's best dressed riders last year; the fantastic photos from "Like Riding a Bike" can still be seen online here. Whilst here in London, Colville-Andersen will also be addressing the All Party Parliamentary Cycling Group today, sharing some Danish bicycle infrastructure design knowledge with our leaders and politicians, which can only be a good thing. Mikael's talk this evening is co-hosted by the Movement for Liveable London, whose monthly "Street Talks" on all things urban transport and public design have been going from strength to strength. The next Street Talk will take place at the usual venue, upstairs at the Yorkshire Grey pub on November 6th (bar opens at 6PM) when I'll be giving a talk titled "I BIKE / YOU BIKE / WE BIKE: cycling towards an equal city". I'll be discussing the highs and lows of cycle advocacy in London and my experience of writing about the London cycling scene over the past four years. Off the back of this I'll be proposing new ideas as to what really needs to be done to achieve a cycling revolution in London and most importantly who needs to ask for it. If you're a cycle advocate, interested in urban planning and city design, an equalities campaigner or a long term reader you're very welcome and there will of course be plenty of time for drinks, discourse, questions and networking afterwards. I hope to see you there in November, and in the meantime please join me in welcoming Mikael from Copenhagen to London! If you read the Cycle Chic manifesto, its not actually about "wear whatever you like to ride a bike". 'Cycle wear' is explicitly forbidden, ruling out most of the clothes I ride in...but then, I ride to get there fast, not to catch the eye of any lurking street photographers. There's a heavy encouragement for those who embrace cycle chic to think very hard about being a beautiful part of the landscape. It's 'wear what you like to ride so long as you are exceptionally stylish at all times': the Sartorialist for people on bikes. Hi Emily, thanks for stopping by and for your time. I think the "manifesto" should probably be taken with a pinch of salt - much of Cycle Chic's work comes across as fairly sarcastic to me. I think that people should wear what they think is appropriate for the ride they are doing that day. Equal to this I think people thinking about their contribution to the visual amenity of a cityscape is a good thing, indeed people are what make cities exciting! When I first came back to urban cycling I was lead to believe by all the marketing material that you couldn't ride without a helmet, high vis jacket and sportswear. Discovering the "ride for the destination not the journey" concept was nothing short of a revelation to me. Perhaps we need these two different stand points to help us all see each side and temper each other out so we can meet somewhere sensible in the middle?